Far North Flash Cycling Club - creating opportunities for young people to excel not only in sport but life. The far North Flash was formed by Phil Gibbs to bring together cyclist in the Far North area who were of like mind to support each other in their goals and ambitions. Three years ago he was approached by a parent and asked if he would coach her daughter in cycling and triathlons. This association lasted for one and a half years thus starting his drive and passion for coaching other young people who showed interest. Over time, Phil a teacher at Kaitaia Primary School, started inviting kids from his school to give it a go. Four of the current squad all started while they were still in primary school. One is a neighbour’s child who he watched for 8 months hanging out with the other kids on the street and another turned up with other members of the team at his classroom on a teacher only day. "I see someone and get the feeling to ask them....I haven't been wrong many times", he says. He explains to them and their parents that what he is asking them to do is hard work but that with work but brings great reward. This is the only sport they participate in because to succeed requires 100% commitment. The young people are also expected to work hard at school and show respect to their family and friends. There are currently 7 young Māori wahine who make up the FNF Team. Their ages range from 10 to 13 years old. The most experienced is Crystal Wikaira who has been riding for 2 years. The others have been riding for less than a year. Phil supplies everything from the bikes they ride to the shoes on their feet. He covers the majority of the running costs of the team from his own pocket and with the help of some awesome sponsors who have come on board. He says that, "I did the inviting so I accept that because of the distances that need to be travelled and the expense involved it is my responsibility to cover most of the financial costs as it is a huge commitment for families that are already under financial pressure". The team runs on a shoe string budget often staying marae styles at family and friends homes. "These kids are so worth it. They turn up to training 5 days a week after school, as well as many mornings". They are an incredible bunch of young ladies who train hard and are determined to do well. Nothing is beyond their capabilities and all have a ‘can do’ attitude. 2017 has seen that hard work and determination pay off. We have had some really solid results which has brought credibility to them and the team from their peers. 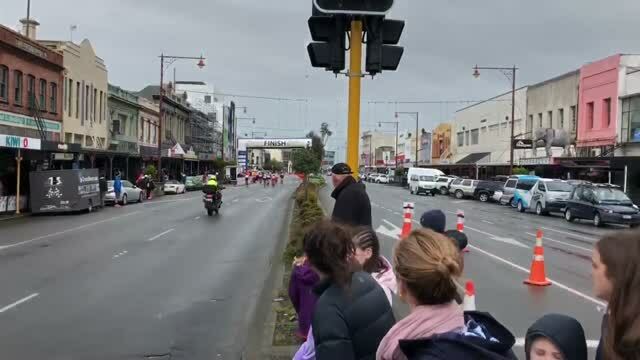 Tyla Mia became the North Island Schools under 13 girls Road Race Champion and backed it up with a 2nd place at the National Schools Championships in the Under 13 girl’s Road Race. Others in the team have accredited themselves well in their first year of racing. What makes their success even more amazing is that these are kids who have nothing and come from nowhere. They don’t have a cycling pedigree or come from a cycling environment. Each has been blessed with incredible determination and heart – something that money can’t buy! They are affectionately known nationally as ‘The Marshmallows’ because of their distinctive pink cycling kit. Their success has brought pride to themselves, their families and their community that has been under a great deal of negative pressure. 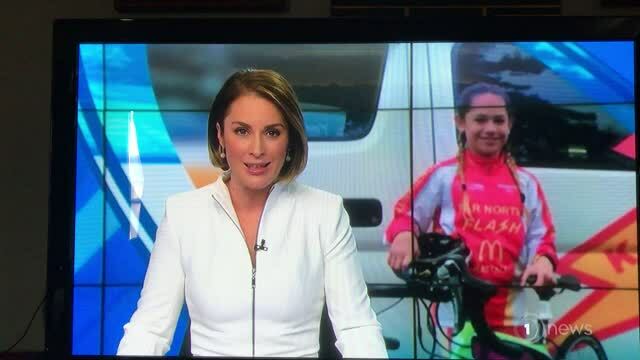 The club’s desire is to continue to give these and other young athletes from our underprivileged community opportunities to excel and grow using cycling as its medium.